It’s hard to go wrong when picking a Seattle concert venue. The scene sports a myriad of venues that all provide their own unique charms. Bigger is better when it comes to KeyArena (*305 Harrison St; keyarena.com), the go-to spot for superstar acts like Adele (Jul 25-26). The historic grandeur and superior acoustics of The Paramount Theatre (*911 Pine St; stgpresents.org), though, make it a favorite for big acts like Jersey Boys (Mar 8-13). One of Paramount’s sister theaters—University District’s The Neptune Theatre (*1303 NE 45th St; stgpresents.org)—might just be the most unique venue of any size in town. 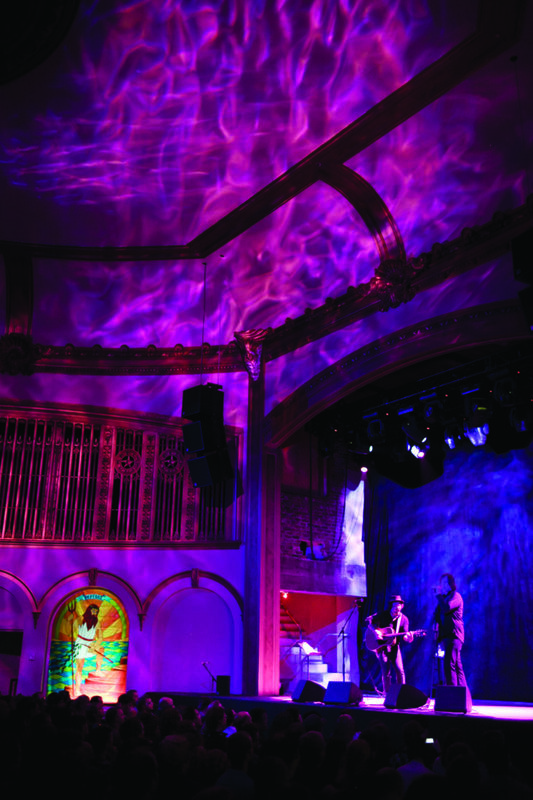 Catering to smaller touring acts and nationally touring locals (and the occasional stand-up comedy show), the faux stained glass–lined venue balances intimacy and variety like no other space. With an open floor, raised bar, and ample balcony, it’s a “choose your own concertgoing” kind of adventure. Situated adjacent to Pike Place Market, the Showbox (*1426 First Ave; showboxpresents.com) is many Seattleites’ favorite venue, thanks to lively crowds, fan-friendly sightlines, and the dual back-wall-flanking bars. The lineups are consistently great: when local acts headline, it signifies they’ve arrived, and it’s a prime choice of acclaimed touring acts. A short walk away, The Crocodile (2200 Second Ave; thecrocodile.com) has long been one of Seattle’s top rock clubs. In the same vein, Neumos (*925 E Pike St; neumos.com) quintessentially captures Capitol Hill with a room equally adept at handling sweaty throngs of rock fans or laid-back hip-hop parties. On the smaller scale, Fremont Abbey (4272 Fremont Ave N; fremontabbey.org) offers some of the most intimate concerts in town in its converted church space. Tractor Tavern (5213 Ballard Ave NW; tractortavern.com) expertly blends the bar and rock club aesthetics, while The Triple Door (*216 Union St; thetripledoor.net) tastefully mixes a dinner theater atmosphere and seating with live music.